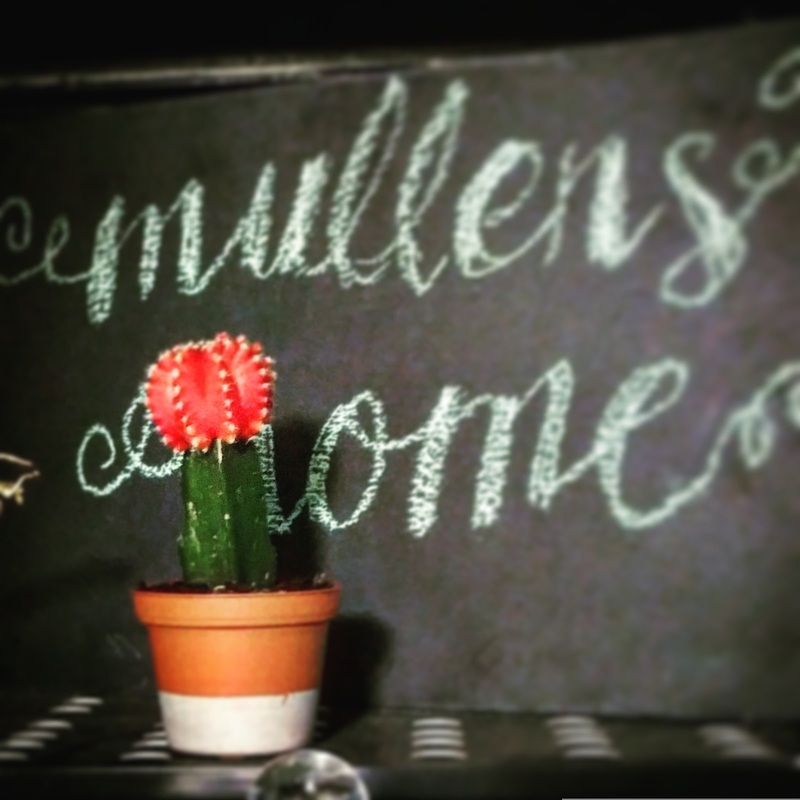 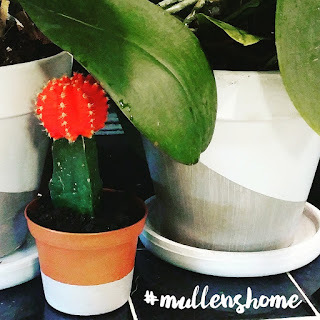 This past weekend, we won an adorable red cactus succulent from Sutherlands! 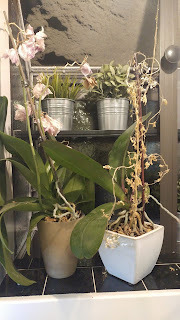 I needed to re-pot 2 orchids we had that were growing out of their original pots, so I thought this would be a perfect time to do so. 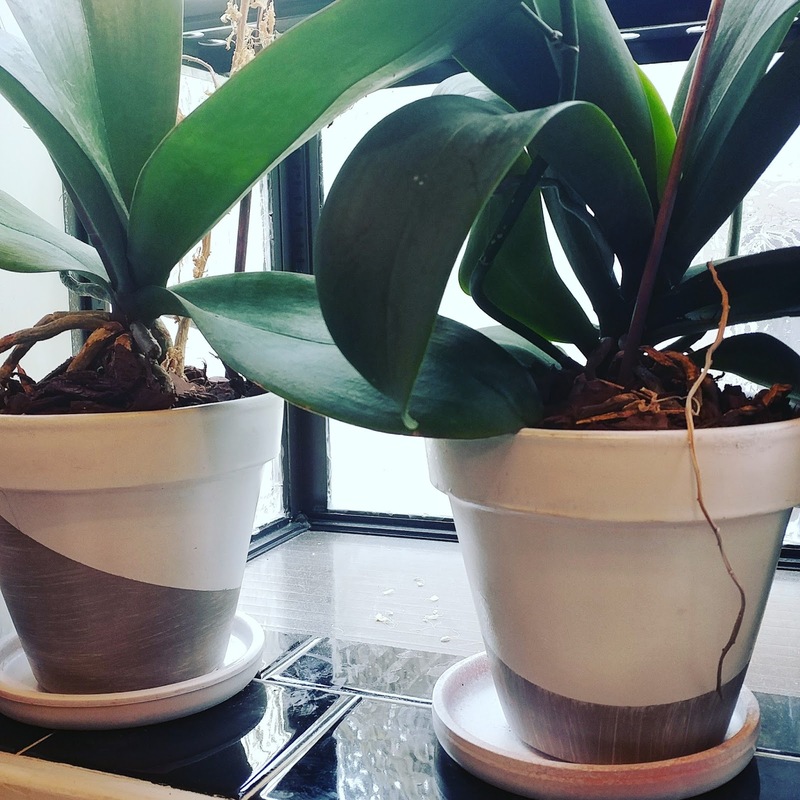 Of course, instead of buying brand new pots, I decided to spruce up some pots we had laying around the house, along with the new one that came with the cactus. 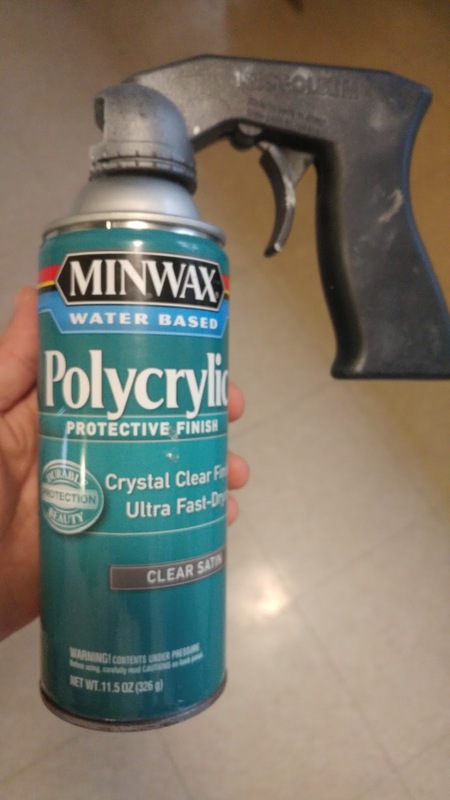 This super easy DIY took less than 20 total minutes! 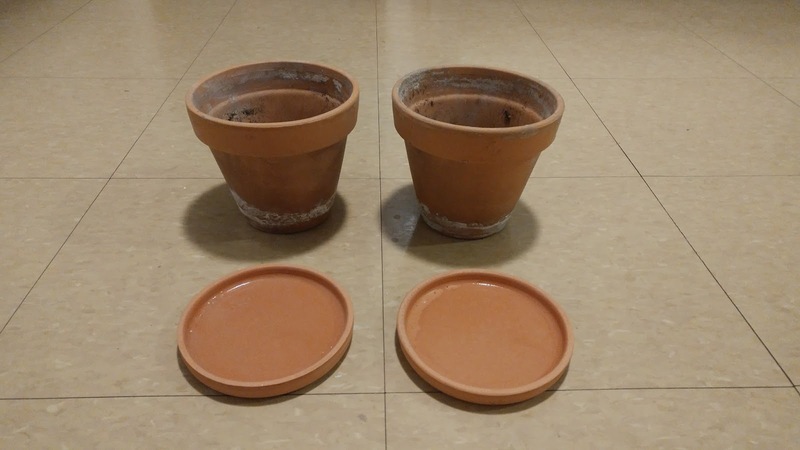 After: Pots painted and matching! 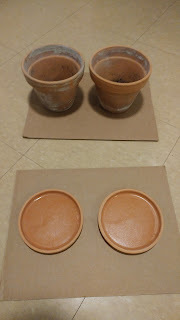 Step 1: Lightly sand Terra Cotta Clay Pots so paint will adhere. 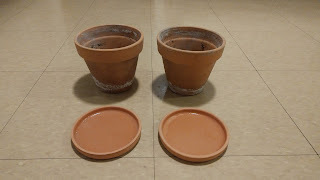 Step 2: Fully paint a first coat of desired color on the clay pots. 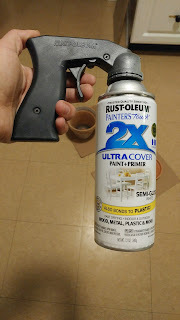 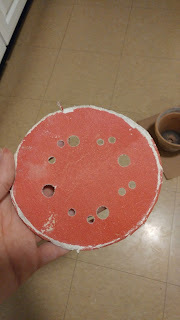 I always prefer using Rustoleum spray paint as a base coat because it fully seals the item I am using while giving it a really durable paint layer. Step 3: Wait for paint to dry to the touch. 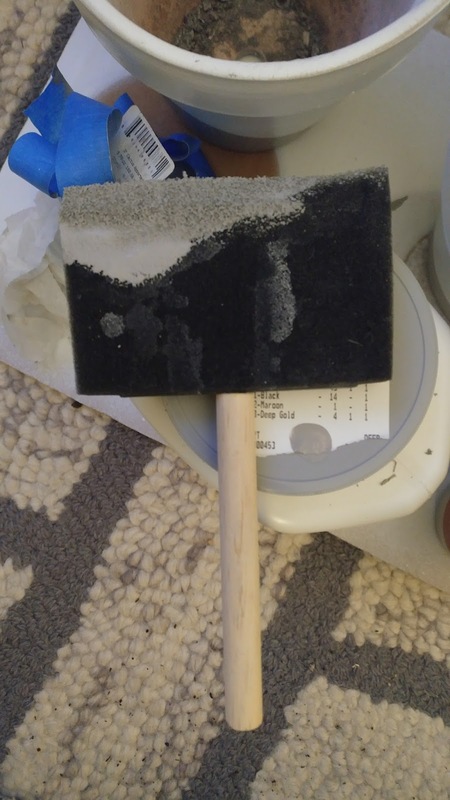 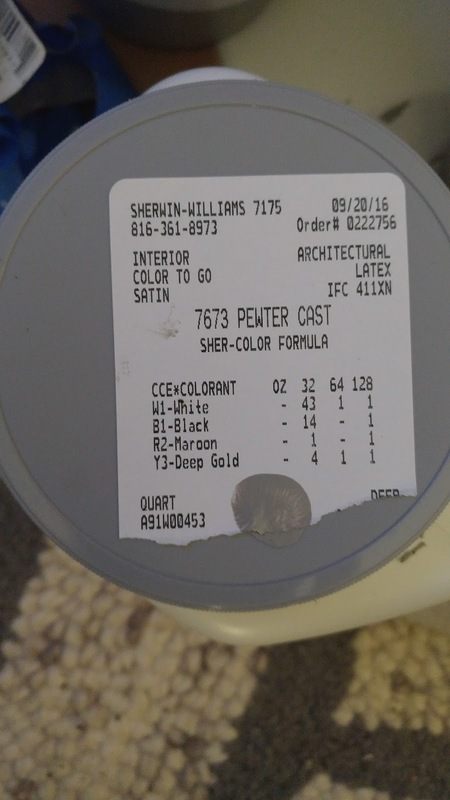 Determine if a 2nd coat is needed. 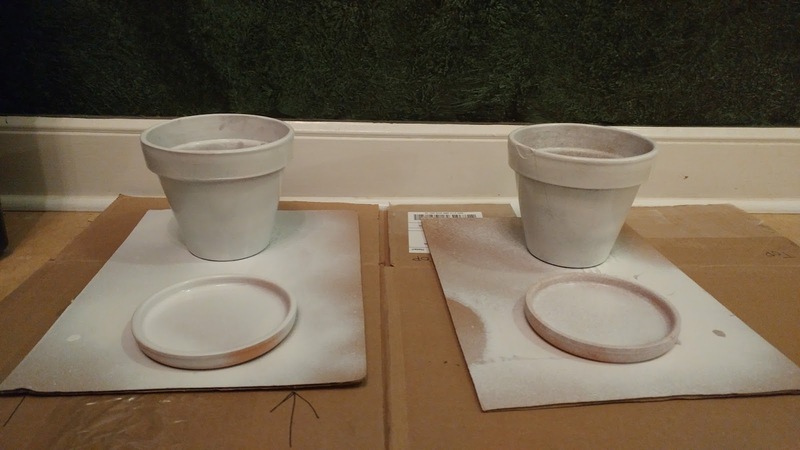 My pots took 2 full coats. 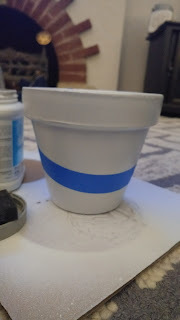 Step 4: Place design on pots using blue painter's tape. Step 5: Paint desired color to create a fun design using a foam brush. I had a sample of Sherwin Williams Pewter Cast that was left over from a previous project. 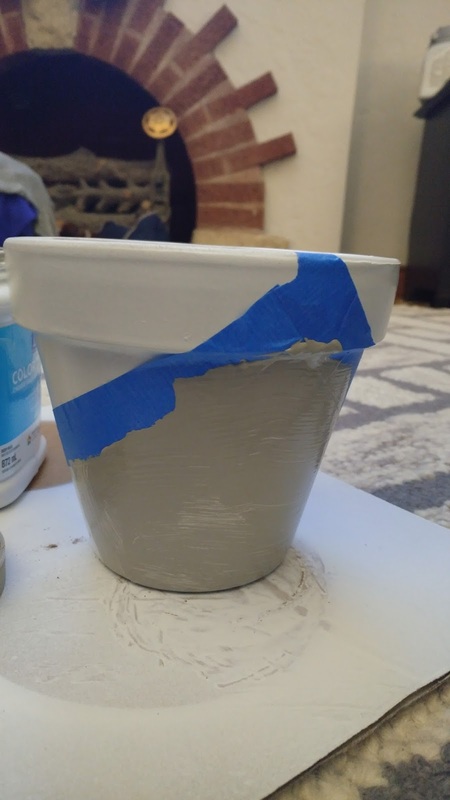 I left paint streaks in my gray (Pewter Cast) paint to give the pot some texture and character. 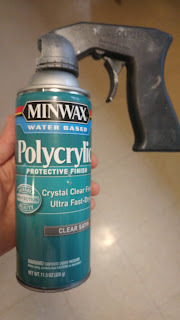 For a more modern look, I would suggest several coats in this step to omit any streaks and "bleed through" of the base layer. Paint design on clay pot. Step 6: Repeat for other pots. 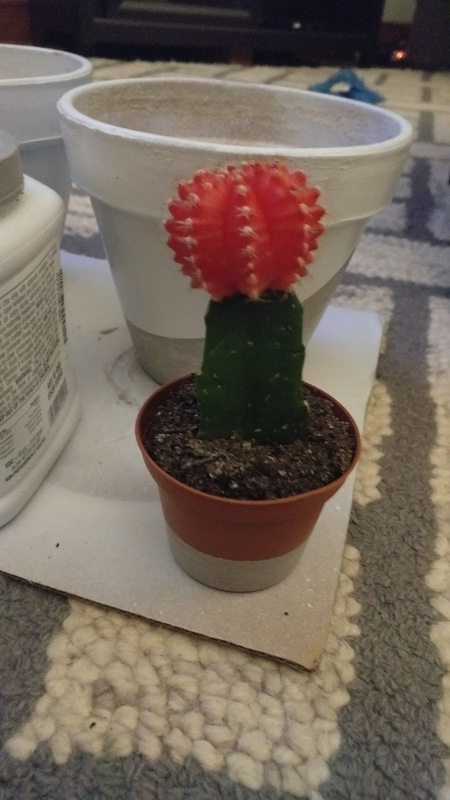 I went with a straight, clean line on the cactus succulent. Step 7: Add 2 polycrylic layers on the pots in a well ventilated area. Step 8: Fill pot about 1/3 fill using correct potting mix for re-potting plant. 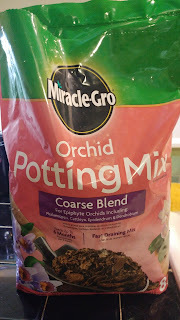 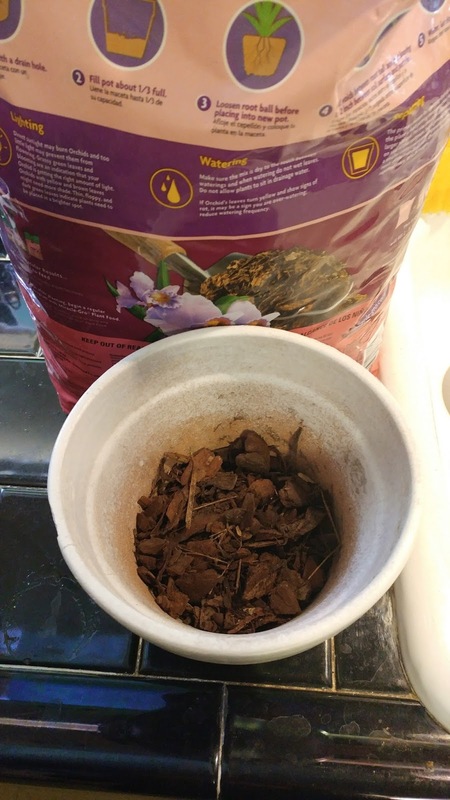 Since I was re-potting 2 orchids, I used Miracle-Gro Orchid Potting Mix. 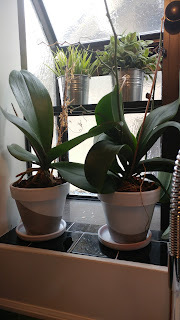 Step 9: Remove orchids from current pots, loosen root ball, and place orchid in new pot. Step 11: Water, let drain. Step 12: Place in their new home and enjoy!